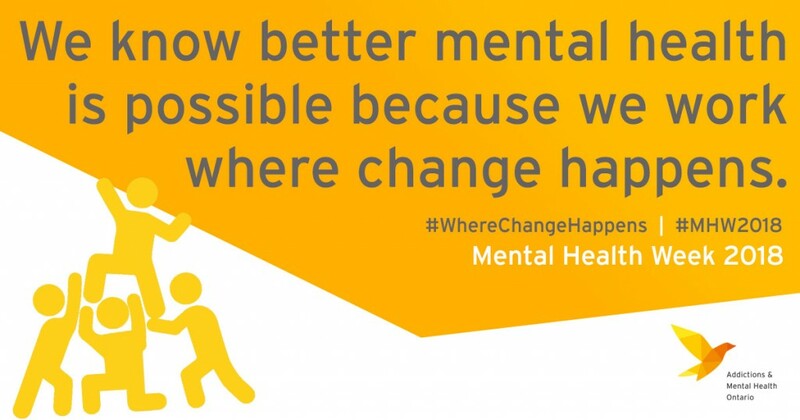 Mental Health Week takes place the first week of May each year, to raise awareness about the importance of mental health. 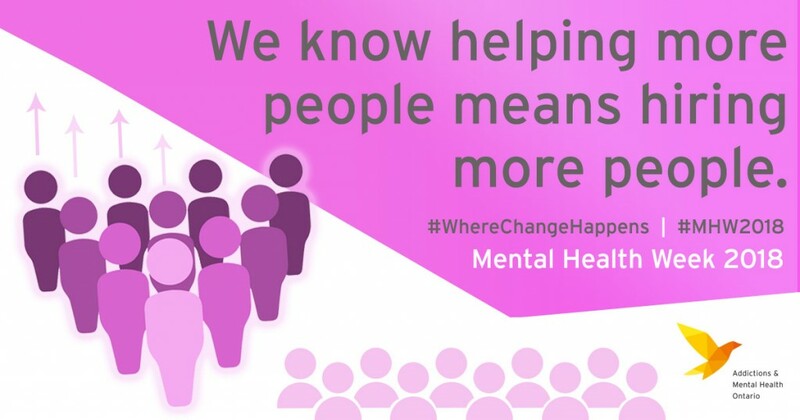 We work where change happens, and we see firsthand the power of the services and supports that help people improve their lives. In Ontario, one-third of those with mental health and addiction problems cannot access the help they need. 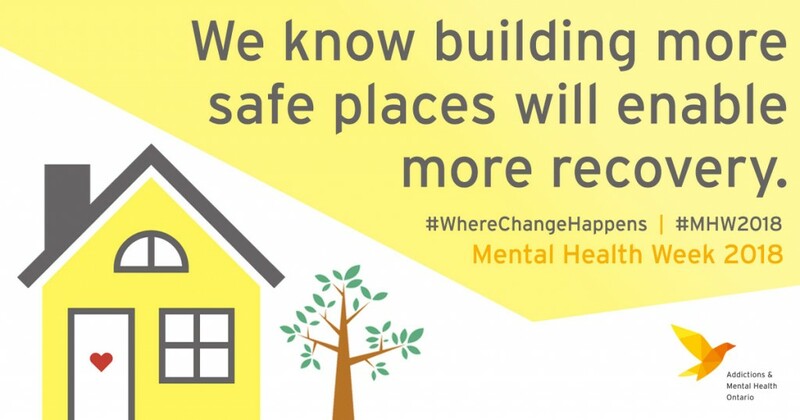 Since 2008-2009, there’s been a 60 percent increase in hospitalizations of children and youth with mental health challenges. Over the past five years, repeat emergency room visits within 30 days for substance use have increased by 20 percent and for mental health by 9 percent. AMHO and our members are committed to working with the government to identify priority areas such as reducing waiting times, addressing addiction and mental illness among children and youth, and improving supportive housing. Together we have already seen significant progress in 2018. In March, the Ontario Liberal’s announced in March it would invest $2.1 billion over four years towards mental health and addiction services. In April, the Ontario NDP’s released their election platform with commitments to bolster mental health and addiction with an investment of $2.4 billion over four years. Also in April, the Ontario PC’s affirmed their commitment to mental health and addiction by pledging $3.8 billion over ten years. These are encouraging steps forward and we hope the momentum will continue as we head into the provincial election in June. Canada still trails other countries such as the United Kingdom, Australia and France. Those countries spend over 10 percent (the UK 13%!) of their health care budgets providing mental health and addiction services and supports. Ontario currently spends around 6 percent. 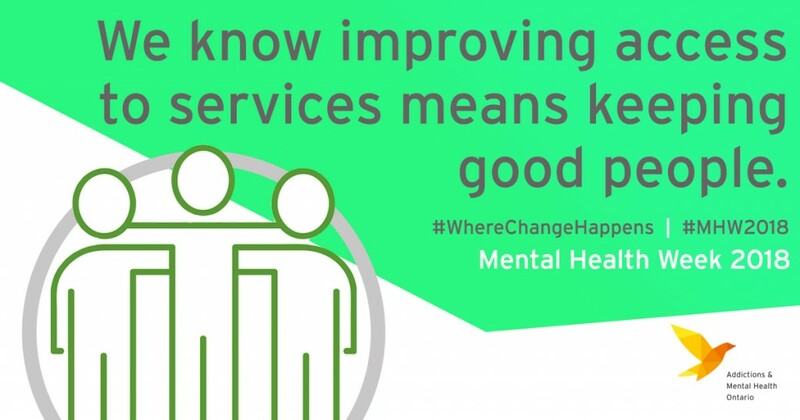 “Where Change Happens” calls on Ontarians to get loud about the need to erase the difference between addiction and mental health and physical health, and calling on provincial election candidates to commit to investing where change happens. 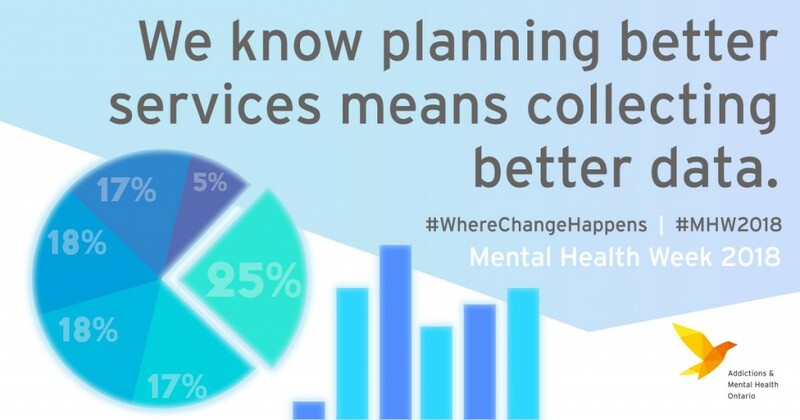 Click on the graphics below to download the files and join the conversation on Facebook and Twitter using #WhereChangeHappens and #MHW2018.